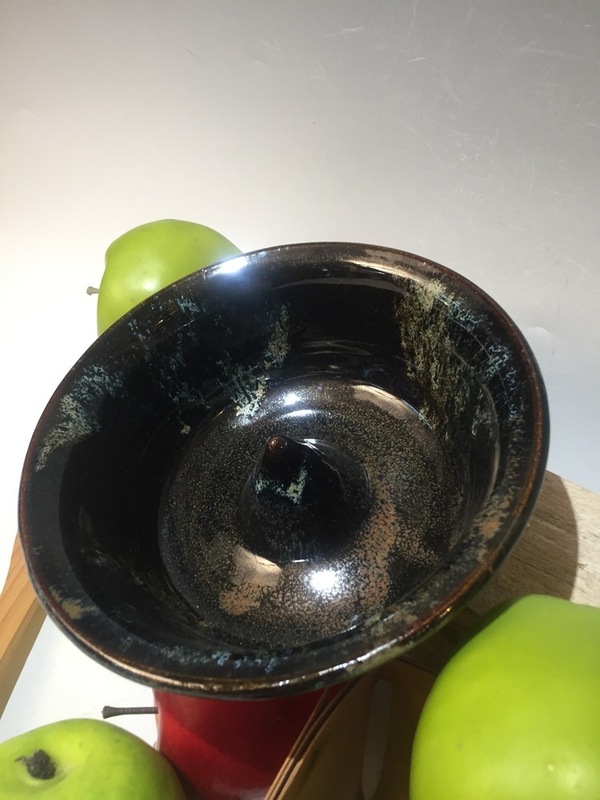 The Miracle Pottery Apple Baker is beautiful enough to sit on your counter top in between uses. It is hand turned and glazed in our original Granite pattern. The Apple Baker measures about 6 inches wide and about 3 inches tall. it can contain even the largest of apples. Made for use in the microwave but can be used in a regular oven as well. Cleans easily in an automatic dishwasher. Always set your stoneware on a pot holder or trivet when its hot to avoid temperature shock. It is durable and will last you for many years.